How different is Nadals record if he plays on a non stadium size court. On the outer courts he really cant stand that far back on the return and its less room for him to run to get that sharp angle serve. Yes of course he would adjust and learn eventually but I just wonder how much different it would be. I’d say the size around the field is underestimated for the outer courts. It is a bit bigger in the stadiums, but not by that much. Even at local clubs you can stand many meters behind the baseline. I do it myself against an opponent with an extreme kick serve. He will return the serve from the parking lot. 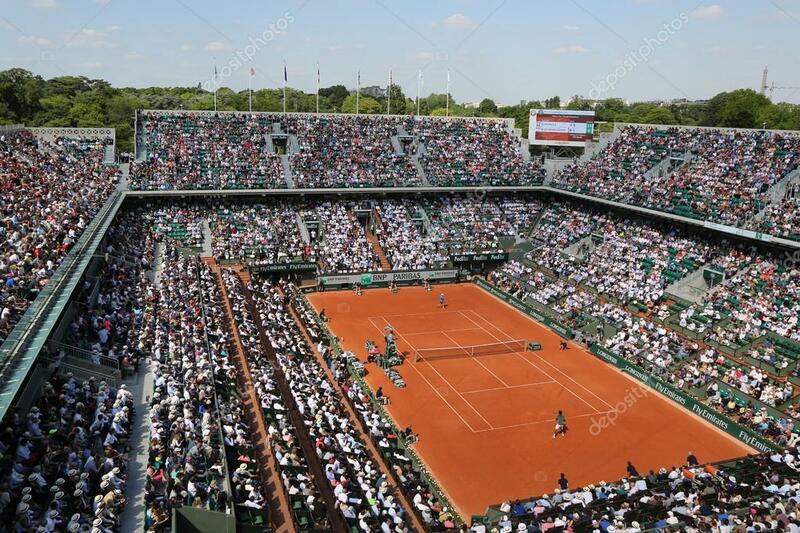 Remember that Chatrier has the most room behind the baseline of any court in the world. But even had a Nadal played on tiny court at the FO, he’d still have 11 titles there. I didn't know different courts at the same event have different amounts of space around the court. One would think they would make it equal if it's within their control. Love to see the recreational tennis court have farther setbacks in back of the baseline. Add additional 15 feet would be prefect. Total length of around 30 feet setback from baseline would improve everyone’s game too! Yes it would! The big "if" for Nadal isn't court size. The big "if" is if the ATP had restricted equipment changes like golf does would Nadal have won off clay. If ATP had said no to copoly strings and possibly some modern rackets, then I think Nadal likely would have never won a major off clay. Certainly, his major count would have gone way down off clay. Djoko and Murray also benefitted from string and racket changes. Only one in the big four that would likely have done as good or better if ATP restricted string and racket changes in Federer as he grew up playing old school string and rackets and had a game based on shot making instead of all baseline bashing. Just having thousands of people watching you play in a small amount of space makes me feel claustrophobic, especially with Arthur Ashe. I would love to do that... specially with people rooting against. Picture something like the USO '15 final. Granted I have absolutely no insight into how the culture is on tour in terms of gentleman-ness etc, I personally cannot understand for the life of me why none of the other guys take advantage of his return positioning. They all just allow him to keep doing it and play it all right into his hands. All it would take is a couple of underhand serves every now and then and Rafa would simply be forced further forward. Nadal would get those too, let's be real. Maybe, I don't really know tbh. But knowing that his opponents could pull of that serve at any time would surely make him think twice before standing that far back.